The Baltimore Colts played their final home game in Baltimore on December 18, 1983 against the then Houston Oilers. By early 1984, after the Colts’ lease on the 64,124 seat Memorial Stadium had expired, Irsay wanted the city of Baltimore to upgrade the stadium or build a new one. Attendance continued to dwindle over the years as a result of the team’s poor play. City officials were wary of such an investment and negotiations were slow and contentious. Relations between Irsay and the city of Baltimore deteriorated, and despite numerous public announcements that Irsay’s ultimate desire was to remain in Baltimore, he nevertheless began discussions with several cities hungry for an NFL franchise, eventually narrowing the list of cities to two: Phoenix and Indianapolis. Under the administration of mayors Richard Lugar and then William Hudnut, Indianapolis undertook an ambitious effort to reinvent itself into a ‘Great American City’. The Hoosier Dome, which was later renamed the RCA Dome, had been built specifically for and was ready to host an NFL expansion team. Jim Irsay began to shape the Colts one year after assuming control from his father by firing head coach Lindy Infante and hiring Bill Polian as the general manager of the organization. Polian in turn hired Jim Mora to become the next head coach of the team and drafted Tennessee Volunteer quarterback Peyton Manning, the son of New Orleans Saints legend Archie Manning, with the first overall pick in the 1998 draft. 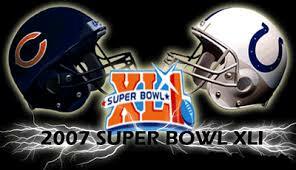 Super Bowl XLI was an American football game between the American Football Conference (AFC) champion Indianapolis Colts and the National Football Conference (NFC) champion Chicago Bears to decide the National Football League (NFL) champion for the 2006 season. The Colts defeated the Bears by the score of 29–17. The game was played on February 4, 2007, at Dolphin Stadium in Miami Gardens, Florida. The stadium had its ribbon-cutting ceremony August 16, 2008, and then officially opened to the public eight days later on August 24, 2008. The stadium was constructed to allow the removal of the RCA Dome and expansion of the Indiana Convention Center on its site. The stadium is on the south side of South Street, the block south of the site of the former RCA Dome. The stadium is often referred to as “The House That Manning Built”, even though Peyton Manning no longer plays for the Indianapolis Colts. Lucas Oil Stadium is a multi-purpose stadium in downtown Indianapolis, Indiana, United States. 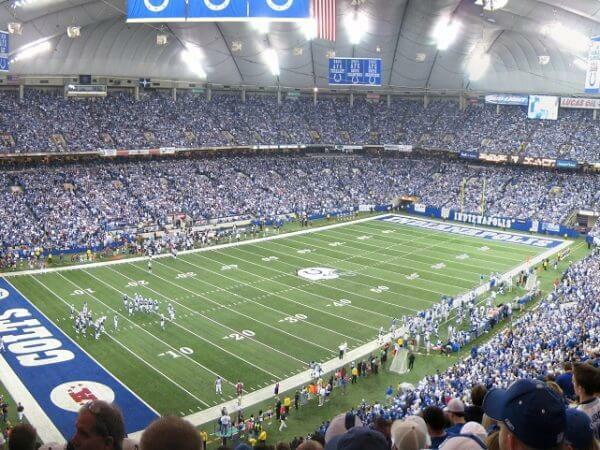 It replaced the RCA Dome as the home field of the NFL’s Indianapolis Colts. The stadium also hosted Super Bowl XLVI in 2012. 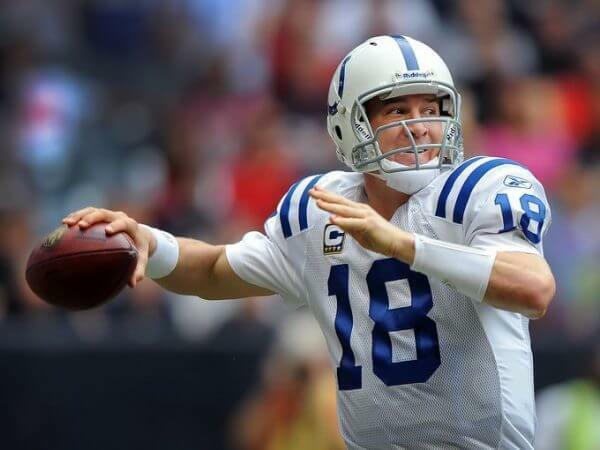 The Peyton Manning era came to an end on March 8, 2012 when Jim Irsay announced that Manning was being released from the roster after thirteen seasons. Owner Jim Irsay started to again rebuild the Colts during the 2012 offseason, hiring a new general manager in Ryan Grigson and a new head coach in Chuck Pagano. The Colts also began to release their veteran players from the Manning era, including Joseph Addai, Dallas Clark, and Gary Brackett. 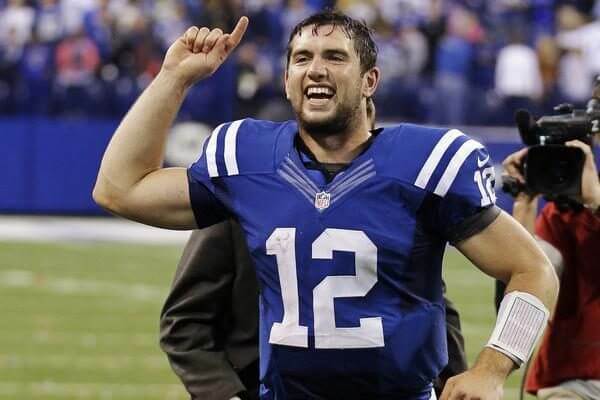 The Colts used their number one overall draft pick in 2012 to draft Stanford Cardinal quarterback Andrew Luck and also drafted his teammate Coby Fleener in the second round. The team also switched to a 3–4 defensive scheme. On September 9, 2012 the Colts kicked off the Andrew Luck Era with a 41–21 loss to the Chicago Bears in which Luck completed 23 of his 45 passes. He threw for one touchdown and three interceptions, and also fumbled, finishing with a 52.9 passer rating. The Indianapolis Colts are an American football team based in Indianapolis. The Colts compete in the National Football League (NFL) as a member club of the American Football Conference (AFC) South division. 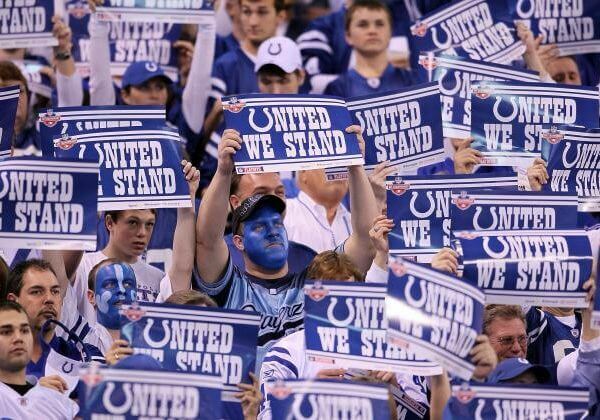 Since the 2008 season, the Colts have played their games in Lucas Oil Stadium. Previously, the team had played for over two decades (1984 - 2007) at the RCA Dome. Colts - The "Colts" kept the name when they moved to Indianapolis in 1984.
Who is the greatest Indianapolis Colts? The Indianapolis Colts are an American football team based in Indianapolis.